This past month we had the pleasure of visiting our good friends at Escape Key and playing their new room, The Professor’s Will. The Professor’s Will replaces their original room Lady Evelyn’s Paradox which we quite enjoyed the last time we visited. Would this new room live up to its predecessor? Read on to find out! 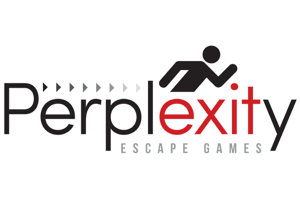 Escape Key is on the outskirts of Brantford and located in a large retail park. Finding the place was a little tricky at night as their sign doesn’t light up, so be sure to leave a little extra time to find the correct unit once you get there. As always, once we arrived we were given a very warm welcome by our host. They have a small and cosy waiting area with seating sufficient for one group at a time, but unfortunately the night we were there the previous group was running a little late so we had to wait off to the side until they had been briefed and started their game. The decor was nicely complemented with a Christmas tree on our just-before-Christmas visit, and they provide ample storage for jackets/phones/purses. As seasoned escapers we skipped the rules video, and then after a verbal introduction and backstory it was off to play the room! Our initial impression as we started the room was slightly underwhelming. The initial stages felt a little ‘been there, done that’ but fortunately the exotic factor ramped up as we progressed. In terms of build quality, everything felt solid and well-built and the tech worked. There were some neat textures in certain rooms and some cool atmospheric touches, although at the same time one or two parts felt a little cheesy. A few elements of the set had something of a home-made feel, although you could tell it was very much a labour of love and a lot of hard work had gone into it. The room took up a fairly large area and there was a fun element of discovery as spaces opened up. The immersion was decent; again, there was something of a ramping-up as we explored and progressed through the room. There were some nice atmospheric ambient sound effects to provide a bit of a backdrop to our exploration. The story was reinforced with a few new details as we played, but there wasn’t much by way of story development; our goals and motivations remained the same throughout. Once or twice our host had to come in to give us hints which impacted the immersion somewhat; fortunately, at other times he was able to give us hints without needing to be physically present. The puzzles were generally pretty good, with a good amount of variety. For the most part they made sense and everything flowed logically. We did need one or two hints to point us in the right direction, but those mostly stemmed from our team’s well-documented lack of observational skills. There were some quite clever and unique puzzles, including one unique high-tech element we hadn’t seen before. We liked the way some of the puzzles interacted with and were integrated with the room’s design. 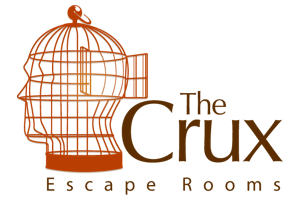 The room includes quite a few puzzles, including a number which are optional (and clearly marked as such), just in case you have a larger group or you have some puzzle geniuses on your team who are breezing through the room and want even more of a challenge. Our team of four didn’t quite manage to finish all of the optional puzzles before running out of time. There was some good use of high-tech elements, although at the same time there were quite a few plain old low-tech locks. Overall we quite liked the room. We would recommend it for a group of 4-6; larger groups might find it a little cramped due to the limitations of the physical space. 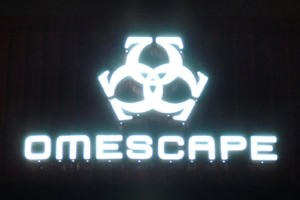 One feature that’s fairly unique among Ontario escape rooms is that Escape Key gives you a score after you’ve finished the room based on the time you took, the number of hints you needed, and the number of optional puzzles you solved. This is a neat addition for those competitive types who want to know how they compare to the competition and gives you a reason to come back and replay the room to get those puzzles you missed the first time.